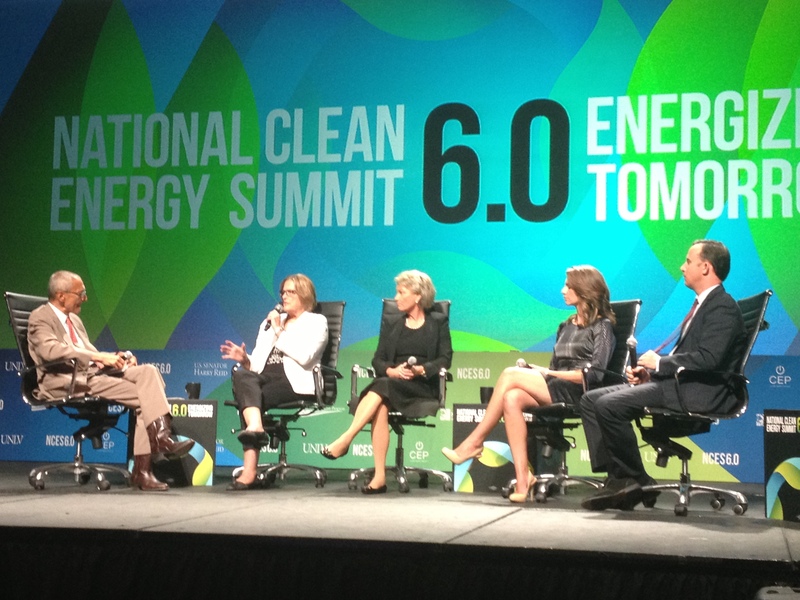 Yesterday, Dr. Kathryn Sullivan, acting administrator of NOAA, participated in the 6th annual Clean Energy Summit in Las Vegas, NV. Dr. Sullivan was part of a panel to discuss extreme weather and climate change. NOAA, part of the U.S. Commerce Department, strives to not only understand the science behind climate change, but how decision makers can apply that science to inform operations, preparedness, and future planning. Business and industry get it. They understand that the planet is changing, and they rely on NOAA's climate research, products and services to make sound business decisions, both for their economic outlook and their resilience to extreme events. During the panel, Dr. Sullivan talked about the unique role the federal government plays in developing and maintaining the expansive observational systems that provide insights into our changing planet. NOAA's science is showing a link between climate change and the prevalence of extreme weather events. For example, 2012 had the most broken records for temperature for a one year period. New and continued research helps scientists the probability of extreme events change in response to global warming. NOAA satellites and ground stations provide a wealth of weather data generating an entire economic sector that today includes the Weather Channel, commercial agricultural advisory services, and new insurance options. In addition, Commerce Department economic data help small businesses make important key business decisions such as where to locate, where to manufacture a product and where to sell that product. This use of Commerce data is an example of the power of open data and private sector entrepreneurship that benefits all Americans and creates new jobs. NOAA's ability to provide "whole earth" understanding informs decisions for all industries and communities. Understanding and applying data promotes resilience in our communities and our economy.